When the Chicago Cubs won the 2016 World Series (after a long 117 years), tourism was booming and the victory parade blew 5 million people into the Windy City. 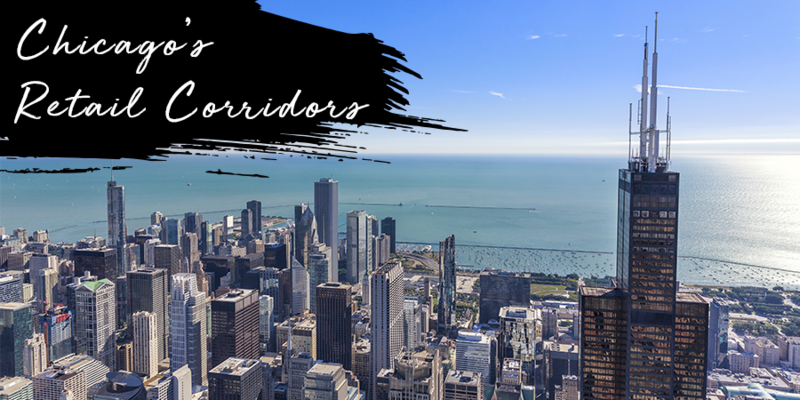 Chicago is home to fresh and established corridors that are bringing in more people and ultimately, more money. With their energy and mix of options, it’s no wonder that Magnificent Mile, State Street, Oak Street, Wicker Park and Fulton Market are making waves and gaining attention from unique brands and eager investors. Michigan Avenue, dubbed the Mag Mile, is a top draw for domestic and international shoppers garnering a 7% rent boost due to increased tourism. Seeing that it’s lonely at the top, Wicker Park and Fulton Market top the list for most affordable shopping districts in the U.S.
State Street’s shoppers seek affordable apparel which is why Saks Off 5th made a discount appearance along with other reasonably priced retailers. Coming in the home stretch, Oak Street lures in luxury lite retailers, while Fulton Market is gaining a new name – the Meatpacking District of the Midwest. If you’re in the market for luxury, discount or fast-fashion, or even tech and electronics, Chicago’s got you. One thing’s for sure, if you’re visiting from out of town, whichever retail corridor you choose, remember to bring an extra suitcase. Don’t forget to download our Chicago City Retail report to learn about its retail corridors and view its average asking prime retail rents, annual rent growth rates and average cap rate ranges.